If you see a doctor or other provider that is not covered by your health insurance plan, this is called "out of network", and you will have to pay a larger portion of your medical bill (or all of it) even if you have health insurance. Most health insurance plans have a network of coverage, which means that they have an agreement with certain doctors and hospitals to pay for care. Often, the agreement is based on a discounted rate for services, and the providers must accept that rate without billing an extra amount to patients in order to remain in the network. When you are selecting your health insurance coverage, insurance plans must provide a list of doctors who accept their plans before you commit to their insurance. You may make the choice to go out of network intentionally, or you might be blindsided by extra bills from an out-of-network provider who you thought was covered but was not. Going out of network by choice: Maybe you know that your obstetrician is no longer covered by your insurance plan but you wouldn't let anyone else deliver your baby. You'll willingly pay extra for that because you believe that your doctor's services are worth the extra out-of-pocket cost. Out of network referral: Your surgeon is part of your insurance company's network, but the radiologist who read your x-ray is not, and you get a bill from the radiologist. The network changes: You go to see the primary care doctor you've seen for years, only to find out that your doctor is no longer part of your insurance plan when a much higher bill than you expected arrives. Extra service: Your insurance reimburses for hospital expenses, but not for a private room. if a private room was the only kind available, your insurance may deny the bill completely, and you may end up being billed for a private room as if you didn't have insurance. Unless you deliberately select an out-of-network service despite the cost, you don't want to be surprised by your medical bill. You can plan ahead to avoid and minimize out of network costs. Call your insurer or go online to the insurer's website to find out if your plan covers the doctors and services you are planning to get. Your insurer may change their coverage policies at any time, but if you get the answers in writing, then they may have to abide by what they told you, even if they change policies after you get approval. Ask whether your provider is part of your plan's network: Prior to receiving care, don't just ask whether a doctor or service "works with" your insurance. Many doctors and healthcare facilities will tell you that yes, they will "work with" your insurer, even if that work is considered out of network. This means that your doctor will bill your insurer, and if the insurer only agrees to pay 10 percent of the cost—you will be billed the remaining 90 percent. Double check every step of the way. : Don't assume that anything your doctor orders for you will be covered just because your doctor is covered. Your doctor might order a blood test and send you to a lab in the same building. But that lab may not be covered by your health insurance. Arrange for gap coverage ahead of time: If you need a special service that you can't get in your network, you may be able to arrange for coverage, even if the provider or facility is out of your network. Perhaps the most frustrating aspect of out of network expenses is that there are different pricing structures for insurance companies than for individuals. The magnetic resonance imaging (MRI) test that costs your insurance $1300 worth of reimbursement will cost you $2400 as an out of network service. Or the medicine that used to cost you a $10 co-pay, and costs your insurer $50 can costs you $120 at an out of network pharmacy. There are a few steps you can take after the fact to try to reduce your bill. Complain to the insurance company first, and see if you can get your health plan to pay. You may find the description in your policy is fuzzy. Pull out all the stops to make sure you make it very difficult for them to say no. Negotiate those bills. Call the hospital or provider's billing department, tell them your bills are unaffordable, and politely ask them to help you bring them down to a level you can afford. If they can't lower the price, ask them to put you on a payment plan. 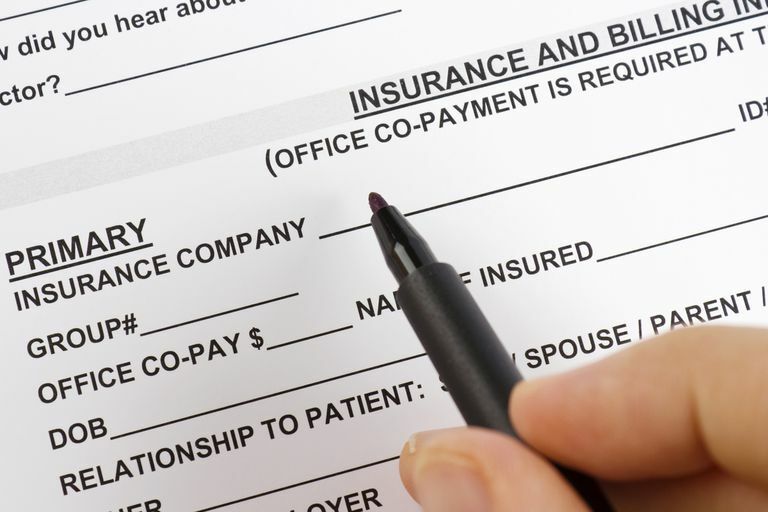 If you can't or won't complain to the insurer, or can't or won't negotiate the bills yourself, consider finding a medical billing advocate to help you. They will negotiate on your behalf, will work to have unnecessary and unfair charges removed, and will set you up on a payment plan with the hospital. You'll have to pay for their services, but you may save far more than you spend due to their knowledge of how the system works. Out of network care may be necessary if you really don't feel that your network will provide the health care you need. If this is a recurrent problem, consider changing your healthcare plan so that you can get the care you want and see the doctors you want to see without incurring too much out of network cost. Gillen EM, Hassmiller Lich K, Trantham LC, Weinberger M, Silberman P, Holmes M. The effect of narrow network plans on out-of-pocket cost. Am J Manag Care. 2017 Sep;23(9):540-545. What Are Physician Extenders in Health Care?